Two Bit Circus wants to make engineering fun through carnivals and its new micro amusement park. 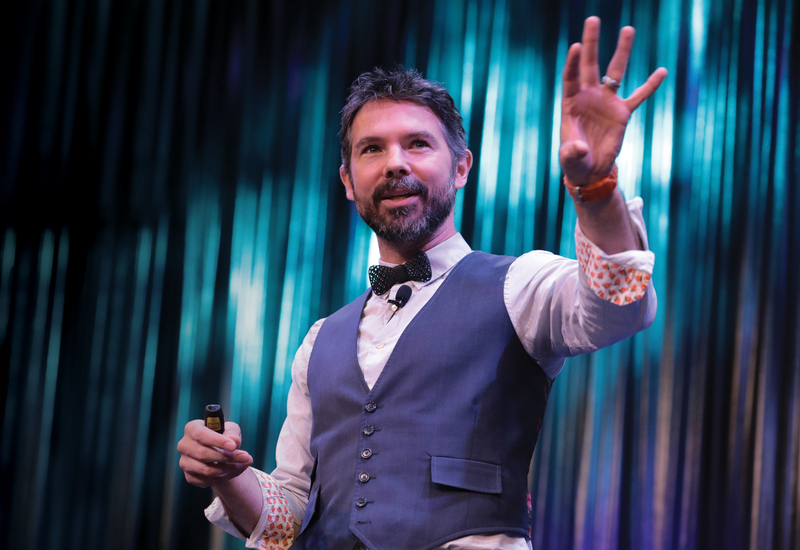 Co-founder Brent Bushnell talks about capturing young minds through out-of-home entertainment. Science and engineering – they’re essential to improved living standards, progress and a better world, but they’re not always put forward as ‘cool’. To Brent Bushnell, co-founder, CEO and ‘Roustabout’ at Two Bit Circus, they should be. He and long-time collaborator Eric Gradman are roughly a decade into a quest to make these fields “the new rock and roll”. “Kids want to grow up and be what they can see, right? They can see firemen, and they can see basketball players, and they can see DJs, or whatever,” he told create. “It’s easy for them to imagine being that person. It’s harder to imagine being a systems engineer. It’s freaking amazing and necessary and powerful, but not so accessible. It’s not something that a 7-year-old can be like: ‘Wow!’. Bushnell delights in mixing geekery with entertainment and fun – demonstrated via an in-your-face LEGO bowtie, passionate advocacy for STEAM education and a near-constant grin during his conversation with create magazine. He wants to push youngsters towards creating their own fun, using technology that has never been more powerful or more accessible. The possibility of all this jumped out at him after his former venture Syyn Labs helped rig up an elaborate contraption for the wildly popular music video for OK Go’s song This Too Shall Pass. The Rube Goldberg machine combined ‘cool’ with mechanical impressiveness in a way that grabbed young imaginations. Combining 89 specific interactions and requiring 85 takes to work all the way through in perfect sync with the song, it finally splashed members of a rock band with brightly-coloured paint. “We got a lot of calls from parents and teachers saying, ‘That was awesome. The kids in our science class are really excited, and all of a sudden, they’re more interested in science than they were’,” he said of the response to the 2010 video. For Bushnell, his exposure to both engineering and entrepreneurship came early, and he has kept a foot in both camps. His father, Nolan Bushnell, founded Atari and Chuck E Cheese, and father-son time included sitting in on meetings and trips to Fry’s Electronics at weekends with dad, who emphasised a strong work ethic. An early project for Bushnell and his brother Tyler was a card game inspired by Magic: The Gathering, which was licensed to Topps Company. Bushnell also made pocket money selling candy bars, magazine subscriptions and more. “We didn’t set up a lemonade stand. We set up a whole freaking convenience store, so I started playing in that space really young,” he said. A formative school-age memory was a safety project assigned by a physics professor, Bushnell’s favourite teacher. This included identifying a problem, building a prototype, doing patent research and creating marketing material. Learning was finally put into a proper context, and the value of hands-on work became clear. “Here was the first time there was a real reason to be working on what we were doing,” he said. The value of learning through practical, real-world scenarios again became obvious in university. Bushnell had developed a passion for systems administration and had started a company to deliver outsourced IT solutions for businesses. This pre-Gmail, pre-Amazon Web Services venture was again with brother Tyler. Bushnell went back to school at University of California, Los Angeles, and work issues kept coming up in subject material, in classes covering things like databases and operating systems. “It was really neat to see how deep the rabbit hole went, and the combination of both those, being in UCLA, and running a company, and I just fell in love with Linux so much,” he said. Another important chapter came when Bushnell put in a visit at Mindshare LA, described by Fast Company as “TED with booze and a great DJ”. Here he met Eric Gradman, who had worked as a roboticist for Applied Minds and who lived above the bar Mindshare was held at. The two hit it off, immediately undertook the first of many all-nighter projects (an interactive electronic whiteboard) and have been building things together since. They began taking their work to parties. The first major project for the duo’s work, which grew into Syyn Labs, was the Rube Goldberg machine mentioned above, and was followed by all kinds of imagination-grabbing, tech-enabled feats for companies such as Google, Intel and Samsung. Following a resume that included fields such as ERP systems, fibre optics, DNA synthesis and even a stint as a sushi chef, Bushnell found himself back in the family business: family entertainment. “Finding myself in games was really accidental. it came at such a perfect time because I felt like I had become a self-sustaining human on my own, and had been able to derive my own accomplishments, but really, happiness came in the domain for which I’d been around the most,” he said. 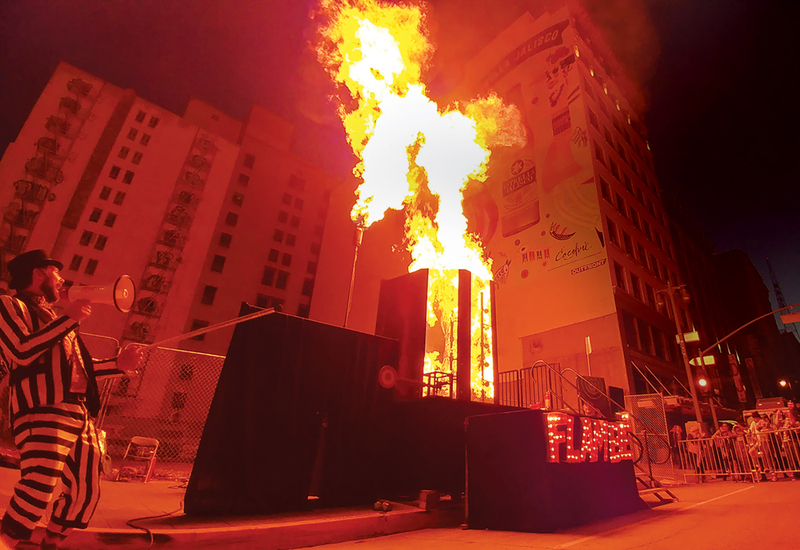 Two Bit Circus, which the duo founded in 2012, has attempted to “reimagine out-of-home entertainment”, which probably hasn’t changed all that much since the invention of laser tag. 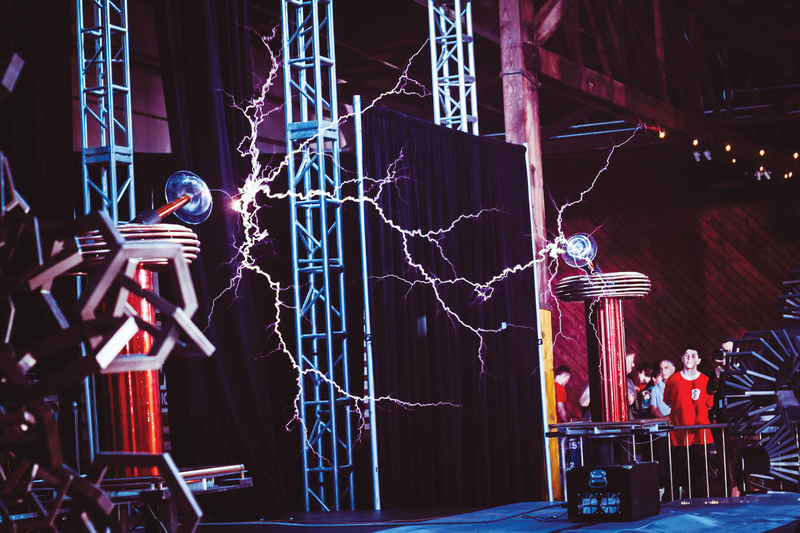 Their first business-to-consumer effort was a STEAM Carnival in 2014, an attempt to show that science and engineering could dazzle as well as be used to build our world. Attractions from the carnival and Bushnell’s/Gradman’s consulting work are housed at the pair’s latest venture, a ‘micro amusement park’ to open in Los Angeles this year, and hopefully to be followed by other such parks. 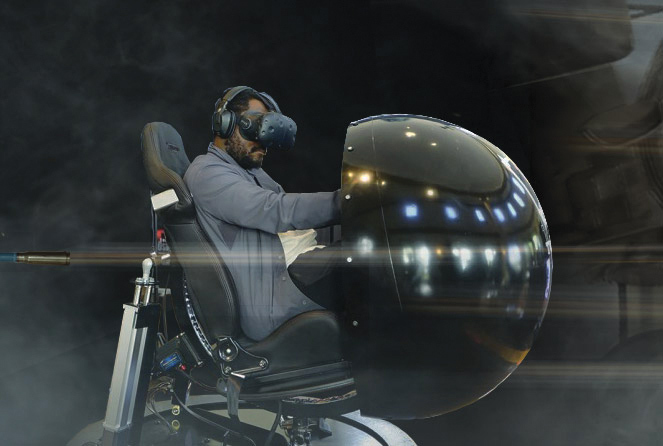 This and the Two Bit Circus Foundation – which provides STEM labs and training for teachers and students – aim to entertain, but also show kids that they can build and program their own inventions. An arcade game such as the ‘Button Wall’ (like Twister meets whack-a-mole) is an addictive, physical, simple affair. Two players compete to see how many flashing buttons they can smash, as the speed and number of lit buttons increases and hands, elbows, knees and more have to be introduced to stay in the hunt. “It’s running a Raspberry Pi with those little computers; it’s got all those buttons, lots of wiring up to get them all up together, our own custom board to aggregate all that wiring, and then a little simple display where we run the rules and that kind of stuff,” Bushnell said. They hope games will bring out kids’ curiosity as well as competitiveness, and that will nudge a few more of them towards creating rather than just passively consuming technology.